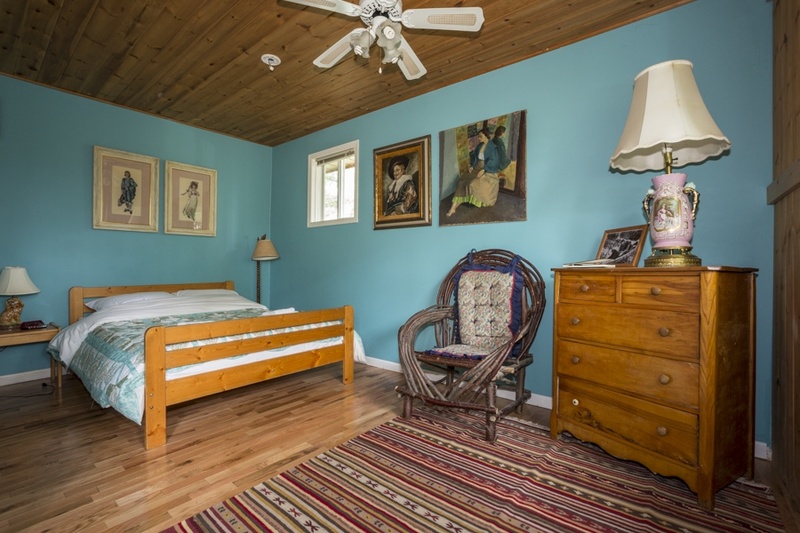 Our rooms are set apart by rich colour schemes, original art, handmade quilts, antiques and rustic twig furniture. A private bathroom completes each room. You'll feel quite at home! Additions such as canoe rentals and packed lunches are available for guests who wish to explore the Temagami area off-site. Please note: Meals must be reserved in advance. Prices are exclusive of HST (13%) and meal gratuities (15%). Tranquil turquoise with a double bed. Sleeps two. Cheerful yellow with a double bed and a twin bed. Sleeps two or three. Rustic red, with a double bed and two bunks. Sleeps four. Woodsy green with kitchenette and two double beds. Sleeps four. Light blue with kitchenette, double bed and single bunk. Sleeps three. Dog-friendly (+$10). Our bunkhouse accommodations are heated and modern, with ensuite hot showers and toilets. Each sleeps 10 people - perfect for large groups or travellers on a budget. Bring your own sleeping bags and towels. Want to hear the loons laughing at night? Choose lakeside tent camping with use of washroom amenities. Head to the campfire circle for cookouts or singalongs; firewood is available for purchase. We know that families come in all shapes and sizes, and we can accommodate pretty much any configuration as long as you're flexible! Families larger than four may need to book multiple rooms, or bunk together in the bunkhouse. Also, the size of your family and your children's ages will affect the price of your stay. Children under 12 eat for half price, while children under 5 eat for free. Please get in touch for a tailored quote to fit your family.